We have been homeschooling for as long as I can remember (can you tell we just covered hyperbole in a writing lesson yesterday?) and we’ve researched many options regarding homeschool curriculum. Until recently the kids have never experienced a “modern” classroom. My children are just two years apart. With the exception of math and grammar, I have taught every subject to them simultaneously with different expectations in regards to what they could produce. This has proven to be not only beneficial (we’ve been able to coordinate field trips and experiences that piggy-back off their science and history lessons) but a huge saving grace to me (less time spent lesson planning). We made the decision to homeschool when my youngest was just a toddler and his sister was approaching kindergarten. I recently wrote a post describing the many reasons why we chose to homeschool so I won’t go into those here. 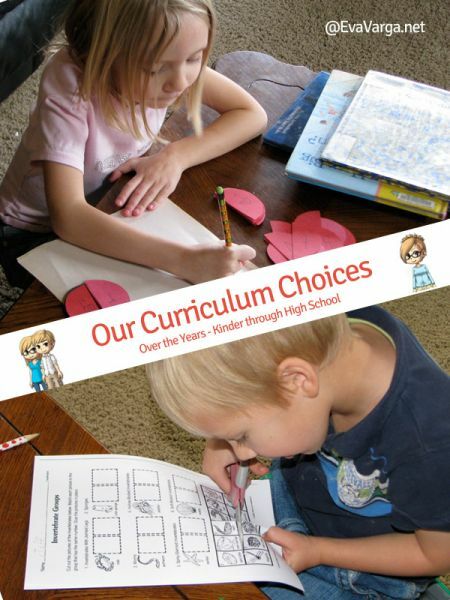 Today I would like to focus on the homeschool curriculum choices we have made over the years. How Will We Begin? (Kinder and Preschool) – A detailed look at how we integrated the Charlotte Mason philosophy into our homeschool style. 1st and Preschool – Sadly, I didn’t write a summary of the curriculum choices I made this year. Mostly this was due to the fact that I didn’t make many changes. The choices I had made early on proved to be the right choices for us and we simply continued forward. 2nd and Kinder – This year, we implemented a workbox system and I put together binders for each subject area (both of which I explain in this post). I also implemented a Charlotte Mason style assessment at the end of the year that provided a peak into the subjects we covered and experiences we shared, Second Grade Year End Assessment. I wish I had continued this type of assessment and will be bringing it back in the high school years. 3rd and 1st Grades – A subject by subject accounting of our learning goals and curriculum choices for the school year. 4th and 2nd Grades – Regrettably, I didn’t blog about our choices this year either. 5th and 3rd Grades – A short narrative describing the new resources and materials we added to our curricula. 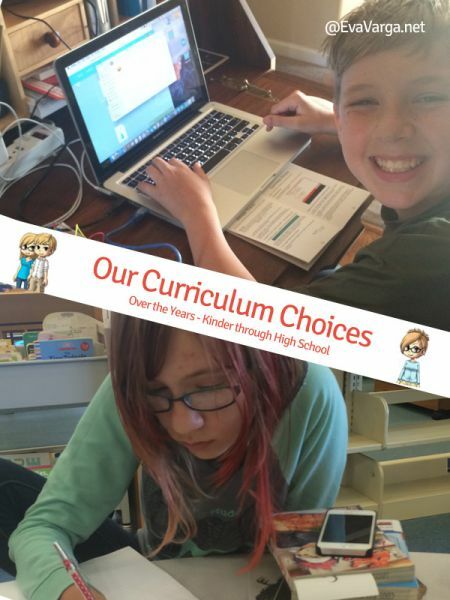 As the kids advanced in their studies, we made a number of small changes to our homeschool curriculum choices, particularly in regards to math and language arts. Our Relaxed Homeschool: What We Do & How We Do It (Intermediate Years) – A look at our daily and weekly schedules and the subjects I teach accordingly. 7th and 5th Grades – A subject by subject description of our learning goals for the school year and the curriculum choices we made to achieve them. In was here that we made the switch from Singapore Math to Life of Fred. 8th and 6th Grades – A look at the curriculum resources and materials we added to our repertoire specifically in regards to language arts with the adoption of Cover Story (writing) and King Alfred’s English (etymology). 9th and 7th Grades – As a high school freshman, my daughter began taking dual-enrollment courses at the local community college and thus our approach changed significantly. This post provides a more focused look at the extracurricular activities in which we take part and how these choices have helped develop us academically and emotionally.